A genome-wide associated study identified six novel QTLs for lint percentage. Two candidate genes underlying this trait were also detected. Increasing lint percentage (LP) is a core goal of cotton breeding. 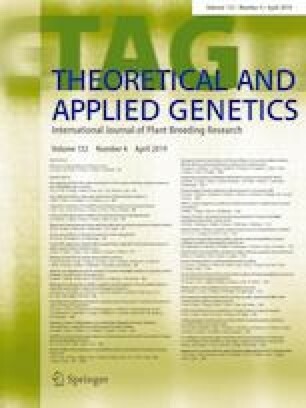 To better understand the genetic basis of LP, a genome-wide association study (GWAS) was conducted using 276 upland cotton accessions planted in multiple environments and genotyped with a CottonSNP63K array. After filtering, 10,660 high-quality single-nucleotide polymorphisms (SNPs) were retained. Population structure, principal component and neighbor-joining phylogenetic tree analyses divided the accessions into two subpopulations. These results along with linkage disequilibrium decay indicated accessions were not highly structured and exhibited weak relatedness. GWAS uncovered 23 polymorphic SNPs and 15 QTLs significantly associated with LP, with six new QTLs identified. Two candidate genes, Gh_D05G0313 and Gh_D05G1124, both contained one significant SNP, highly expressed during ovule and fiber development stages, implying that the two genes may act as the most promising regulators of LP. Furthermore, the phenotypic value of LP was found to be positively correlated with the number of favorable SNP alleles. These favorable alleles for LP identified in the study may be useful for improving lint yield. Communicated by Alan H. Schulman. Chengxiang Song and Wei Li contributed equally to this work. The online version of this article ( https://doi.org/10.1007/s00122-019-03333-0) contains supplementary material, which is available to authorized users. This work was supported by the National Key R&D Program for Crop Breeding (2016YFD0100306), the Key Project of Science and Technology of Henan Province of China (182102110306), and the Natural Science Foundation of Henan Province of China (152300410010).